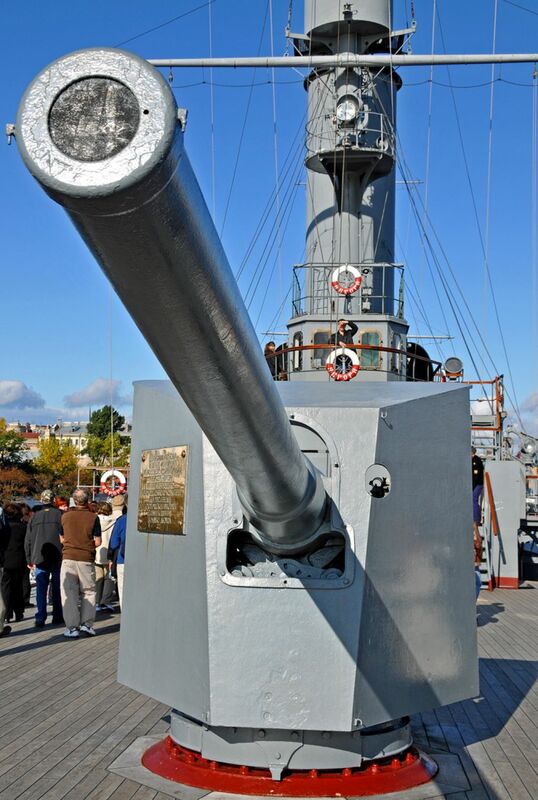 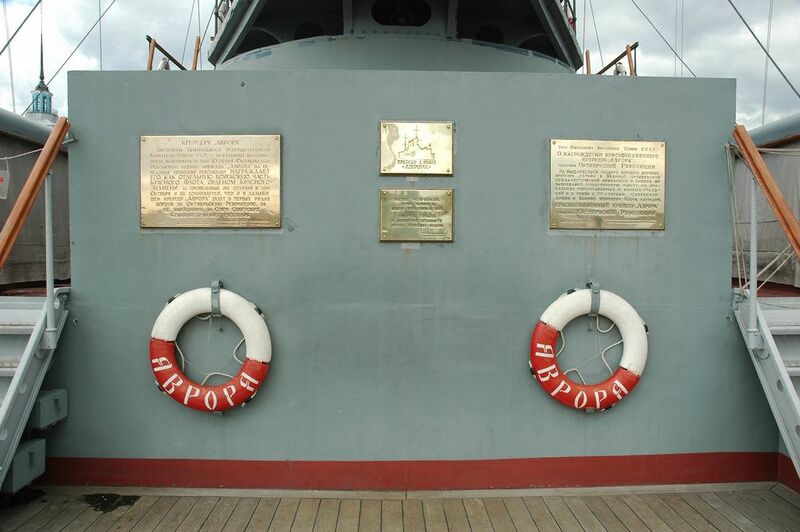 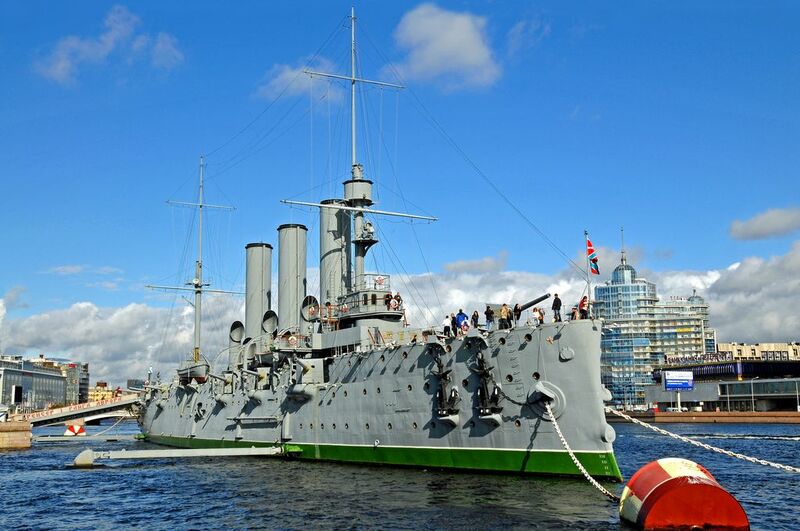 The cruiser Aurora was built between 1897 and 1900 in St. Petersburg and joined Russia’s Baltic fleet in 1903. 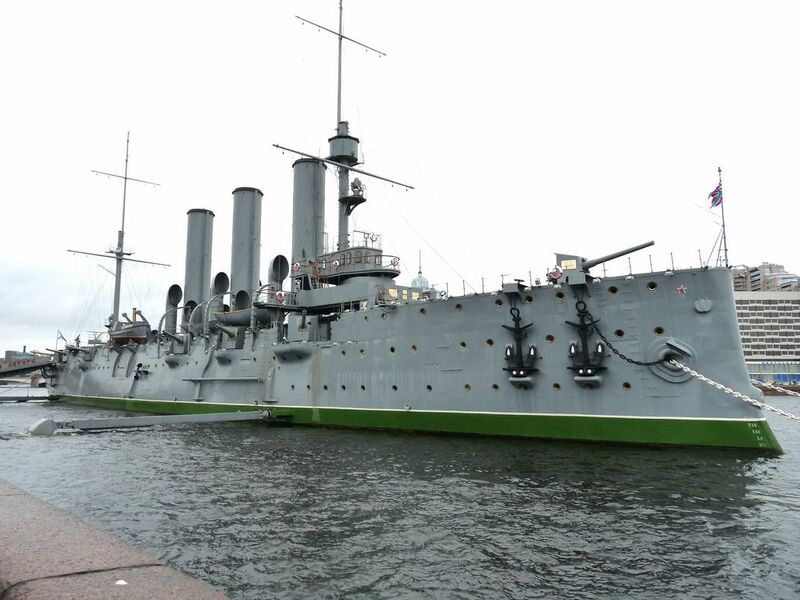 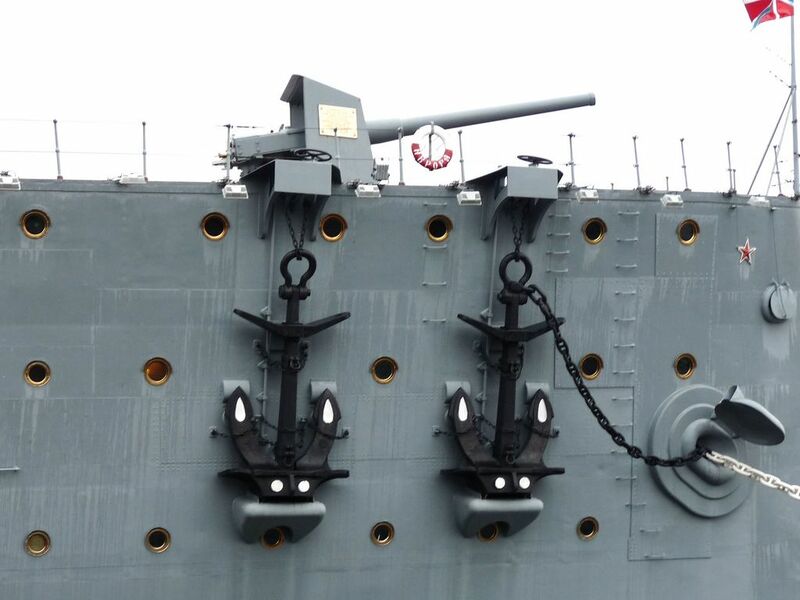 The ship measures 126.8 meters in length, 16.8 meters in width and weighs a staggering 7,600 tons. 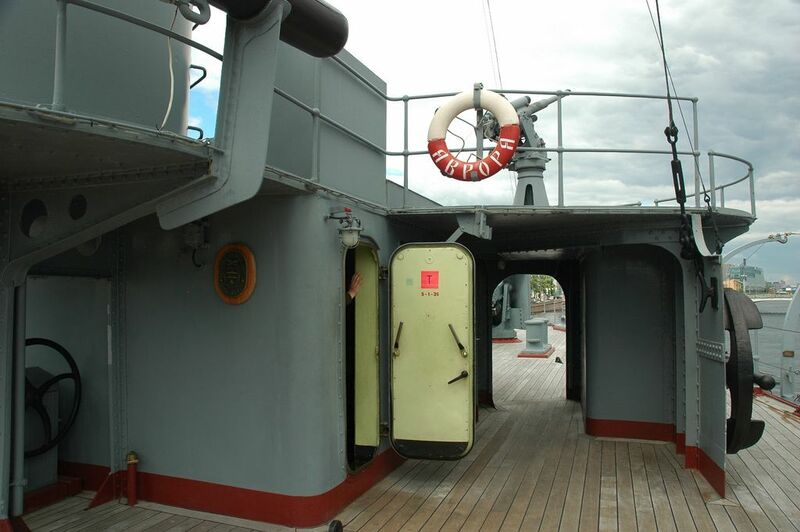 Maintaining a speed of 20 knots it can travel independently for up to 1,440 sea miles. 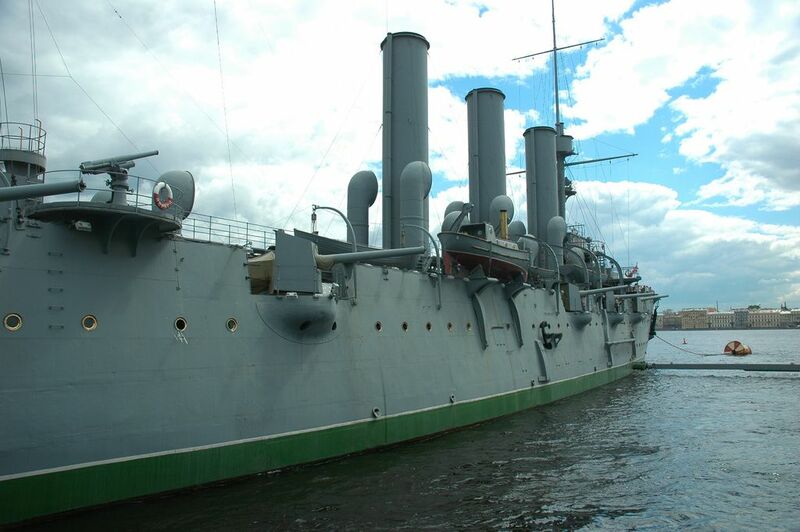 It took an active part in the Russo-Japanese War of 1904-05 and participated in the Tsusima battle, in which most of Russia’s Pacific fleet was destroyed. 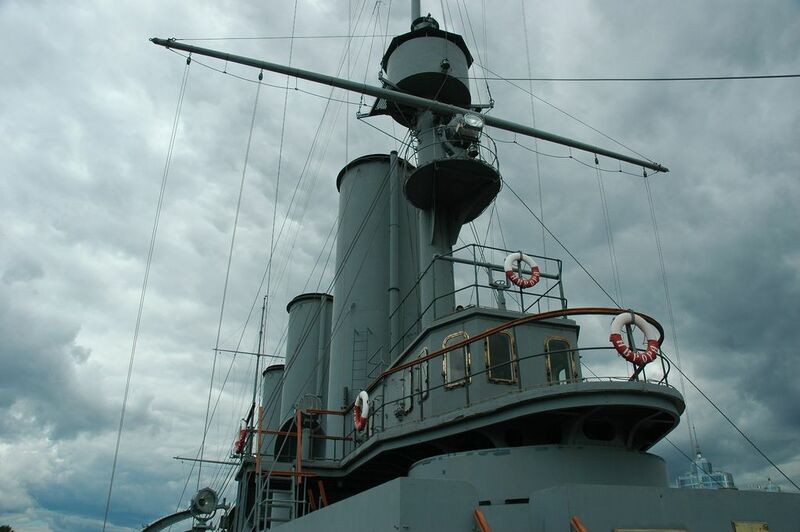 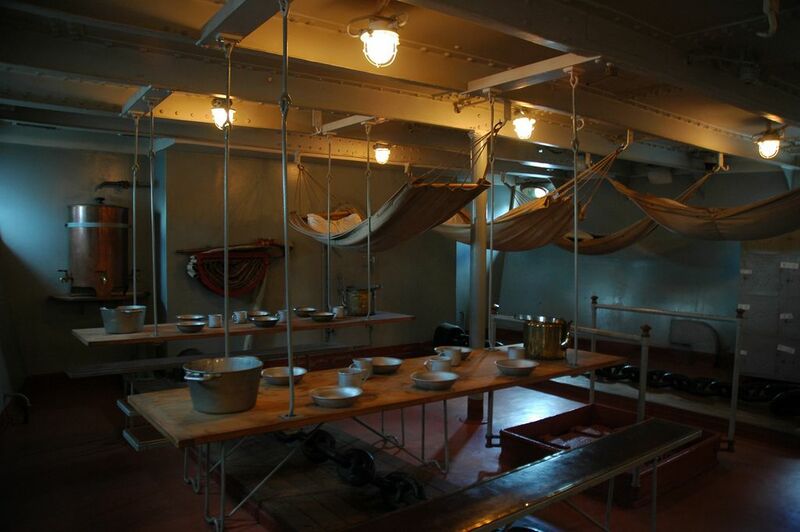 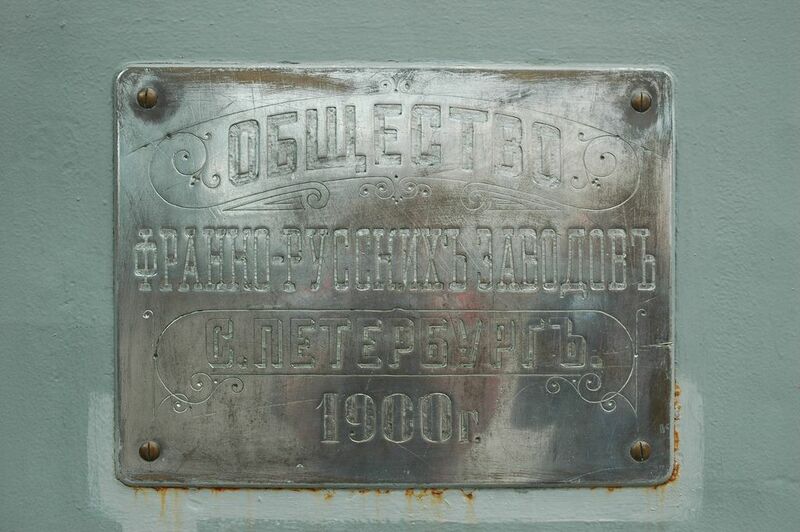 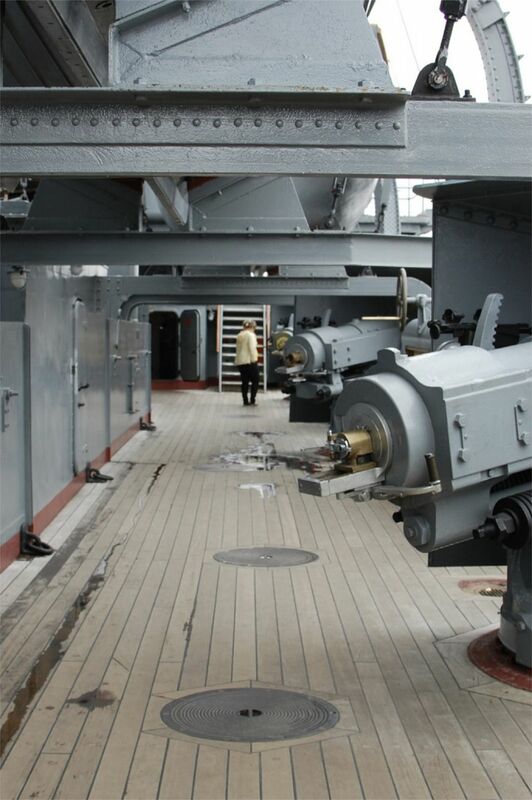 After the war the ship was used for personnel training and during the October revolution of 1917 gave the signal by firing a blank shot to storm of the Winter Palace, which was being used as a residence by the democratic, but largely ineffective Provisional Government. 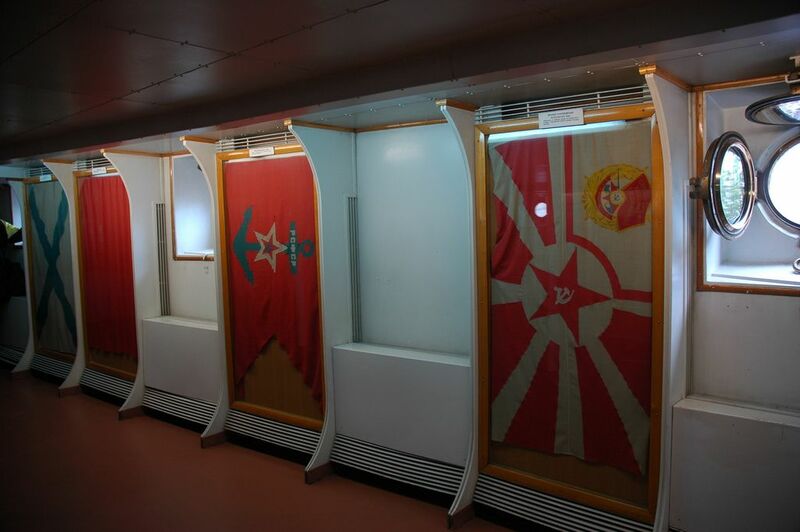 That moment triggered a dramatic episode in Russia’s history and was the start of over 70 years of Communist leadership.